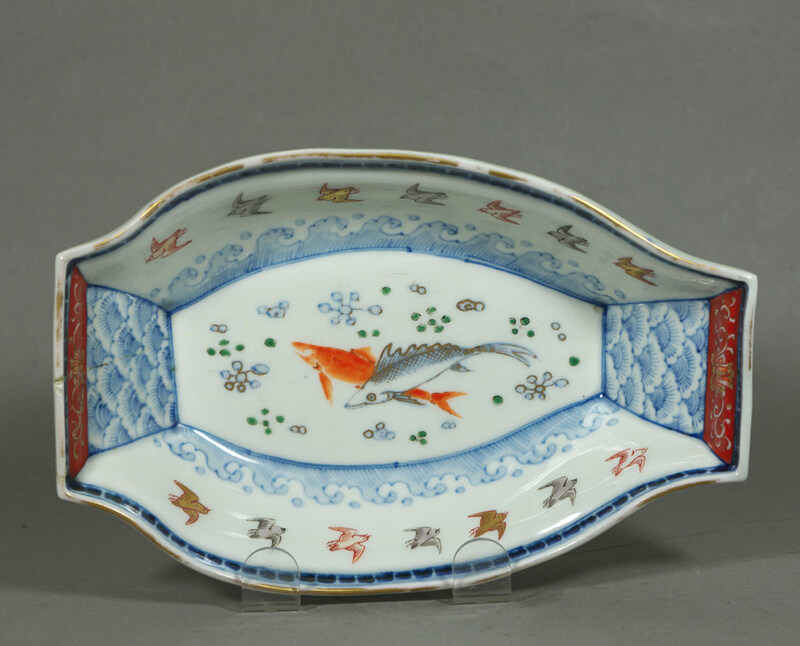 Subject:Japanese porcelain boat-shaped bowl identify mark? 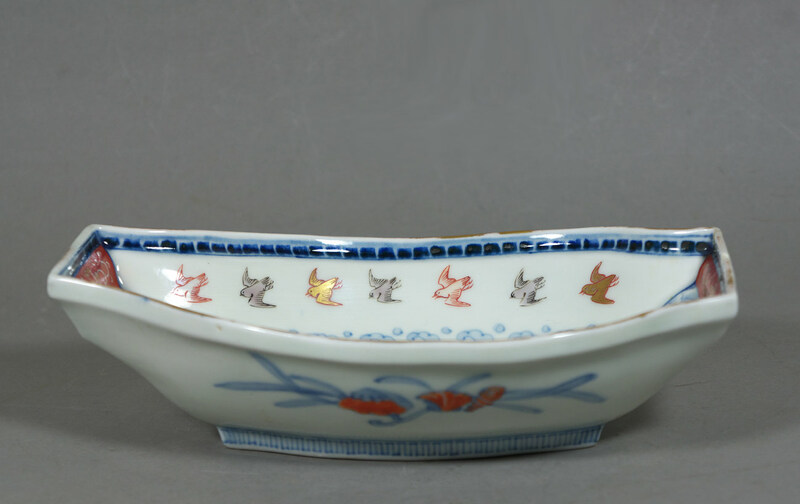 Hello, I have this Imari palette boat-shaped bowl that has this blue square character mark. 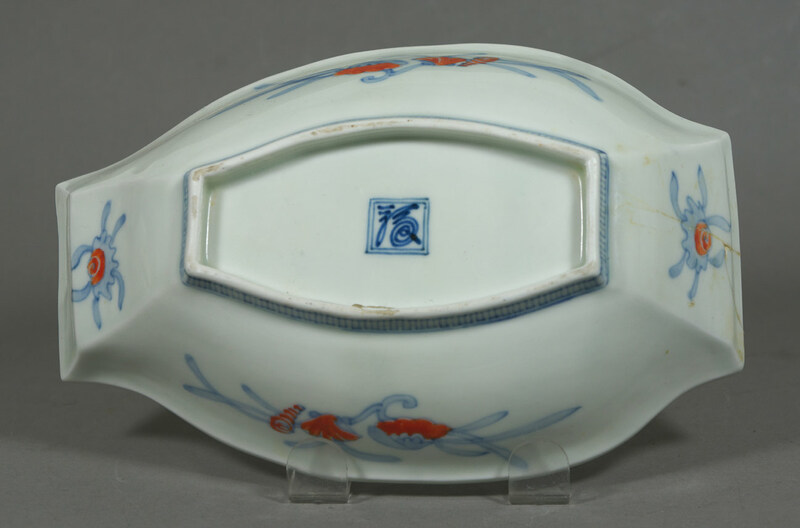 Is this an older piece from a known factory?